Few bands can sell-out a full run tour without a new release to promote. Not to mention in record time and most with an increase to venue size since their last trip on the road. Then again, few bands are on the same level of Courteeners. With each announcement, ticket's become scarcer than ever as demand outstrips supply in the fight to be amongst the rowdy crowds, teenagers and adults alike, all experiencing the best night of their lives. There's no denying the Courteeners have one of the most loyal fan bases around, displayed so evidently up and down the country as they pack out their shows - fans screaming back each and every word in idolising fashion. Documenting the latter years to my teenage youth in immaculate detail, Liam Fray's songwriting speaks in no way any other band could. From the partying and heartbreaks to all the late nights and early mornings. This band have been here for the generation of my youth and it's clear to see how much they mean to the people in the room. As the lights cut at 9pm sharp the band emerged to the anthemic Are You in Love With a Notion?. It's not long before the pints started flying. "I want you to lose yourselves tonight but can you please not aim them this way" Liam pleaded, their sound technician's job description now covering spillages on stage and ensuring their instruments remained dry. 10 years old and still as fresh as ever, Cavorting needed no introduction as the crowd's excitement toppled throughout the intimately packed venue, bodies crashing in to one another. Rattling through songs from their 2016 album 'Mapping The Rendezvous' and 2014's 'Concrete Love', The 17th, No One Will Ever Replace Us and Summer all got airplay, with the band still finding time to muscle in some of their older material. Track’s such as Lose Control that have become an almost iconic song for the Mancunian trio, in a live setting takes no prisoners, its chorus charging through the sweat soaked audience. There's even time for a Fray acoustic encore with Please Don't and Smiths Disco taking the electrifying noise to an all time high. Whilst touring a new record, a lot of pressure gets placed on a band to perform. It's the first time fans hear the new songs they've been listening to for the last few months live. It must be even more nerve racking to debut unreleased material. There's no uncertainty here though as Hanging Off Your Cloud's chiming keys and emotive lyrics show there's plenty more fuel left on their fire. Better Man alongside Heavy Jacket also get their live debut on this tour. Two track's that show they aren't ones to rest on their laurels as they take a departure to their sound, the latter's spacious swelling and siren effects adding to its crunching beat. 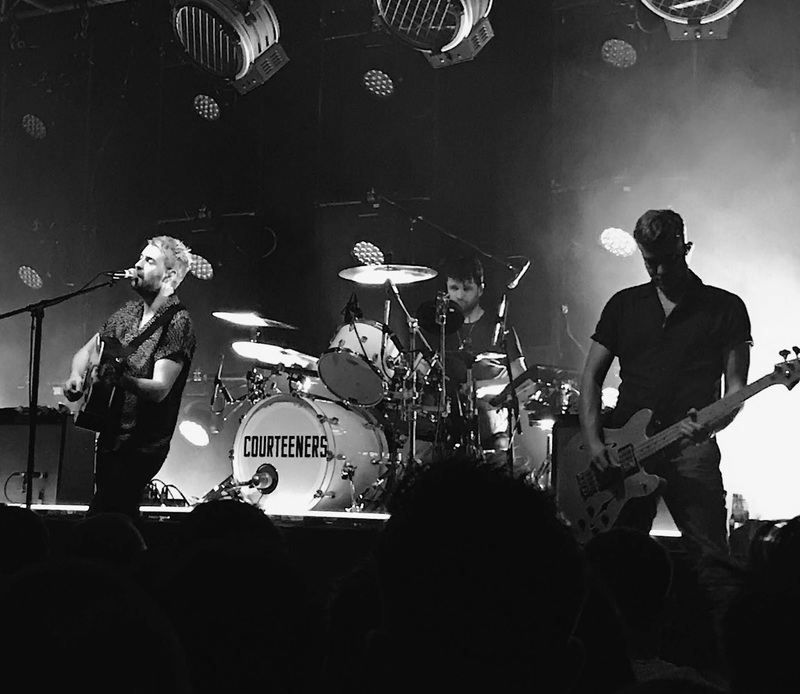 Crowning the evening off in style it wouldn't be a true Courteeners party without Not Nineteen Forever back to back with What Took You So Long for a triumphant finale. It's safe to say by this point not a single soul was left standing still as the place rightfully erupted in to song and dance. 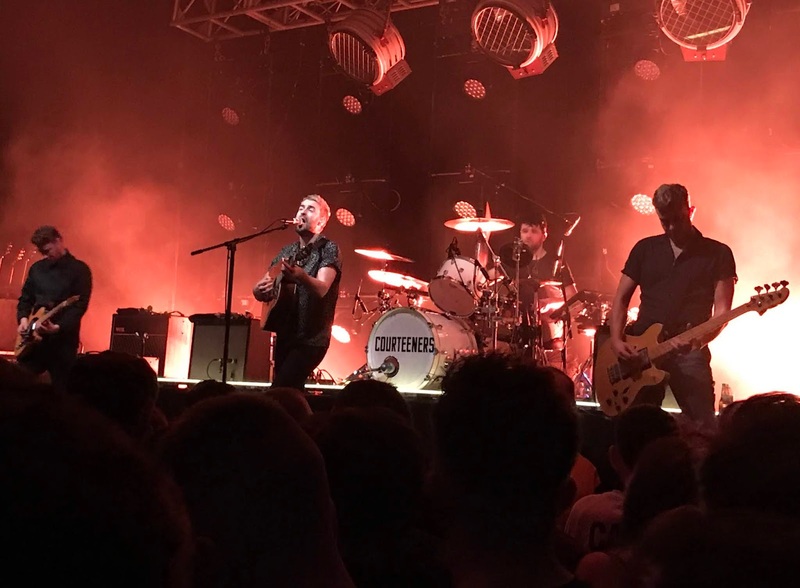 Whether it's 20,000 plus in Castlefield Bowl (still my all time favourite show) or the thousand or so fans packed in to this small sweaty room - the deafening roar from both choruses is something everyone should experience at least once in their lives. Will I ever tire of this band? At 35 shows in and a 10 year following to boot, it's highly unlikely when they're on this roll.